We think of the 19th century as that time when the classical tradition that began in the renaissance finally played itself out — replaced by a grab bag of successively borrowed and blended styles from all places and times. Even as that was happening, and mixed up with it, there was a counter trend, a desire to make a fresh start — sometimes drawing upon local building techniques and materials to evoke a sense of place and tradition. For the post Civil War generation which had ended slavery and reforged the union, and which in 1876 had celebrated the centennial, there was a broader sense of national re-creation. With the coming of comfortable travel by rail and coastal steamship, there was also access to a bedrock America previously known only through prints and paintings. Now middle class Bostonian families and their architects could experience the rugged White Mountains and Maine coast. It’s no coincidence that those are the years of Winslow Homer’s shorescapes and Sarah Orne Jewett’s Country of the Pointed Firs. 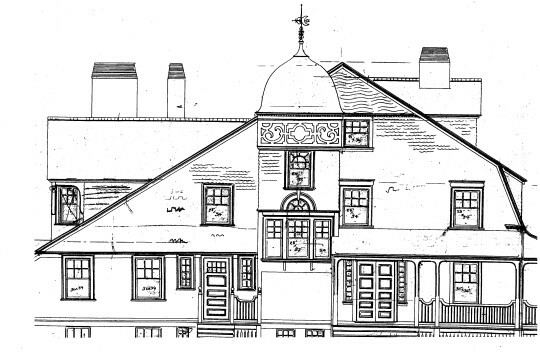 Young Boston architects, wanting to “discover” a true regional language, looked — selectively, to be sure — to New England’s shingled vernacular, including that of coastal Maine. Admittedly these well traveled, well read, young men were also more than a little inspired by the British Arts and Crafts movement, which recently had rediscovered a British regional vernacular that used roof tiles as siding, not unlike New England’s shingle-sided barns and sheds. Along with the work of Henry Hobson Richardson and McKim, Meade & White, the houses of Peabody & Stearns during the 1880s epitomized what the historian Vincent Scully, some 80 years later, would call the Shingle Style. 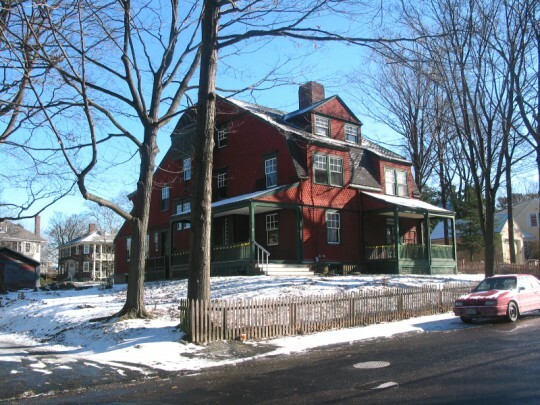 In 1882, Arthur Mills, the general freight agent of the Boston and Albany Railroad, hired Peabody & Stearns to design this house on a double lot at 22 Irving Street in Pill Hill. Robert S. Peabody, lived nearby on Edgehill Road. 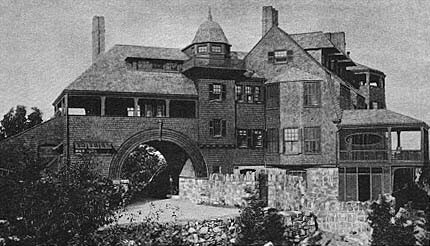 At that moment his firm was building “Kragsyde,” a romantically sited “cottage” in Manchester-by-the Sea, that would become an icon of the shingle style. Although we joke about such grand “cottages,” the idea of the cottage — a house under a sheltering roof, often acting as if it is one story, even if two or three — became an important part of the shingle style ideal. Five years later, McKim, Mead & White would create its grandest and simplest example in the William Low House in Bristol, RI. And that ideal of the cottage would persist and evolve from thousands of shingle style examples, through Frank Lloyd Wright’s Prairie style, and down to the present day. But 22 Iriving Street was among the very earliest of its type. 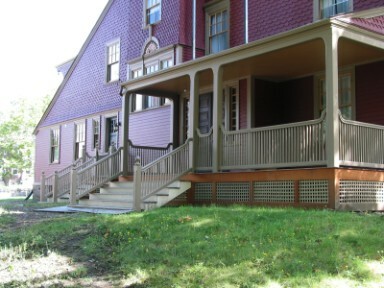 Later it would also become the home of a Nobel laureate and of Brookline’s first Selectwoman. And so it remained for over 120 years — both house and setting remarkably intact, and needing only some TLC. Well, perhaps a good bit of TLC. 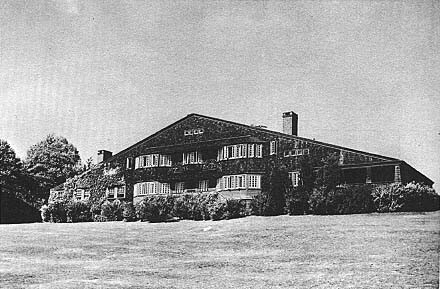 Fortunately, its new owners, Joan Lautenschleger & Jack Cummings, together with their architect and contractors, were the ideal stewards for this wonderful, important house. Over many months they meticulously restored it piece by piece — even hand steaming new woven latticework under the porches. We couldn’t be more pleased to offer them this well deserved preservation award.